This week's farm notes hint at the scope of mid-season activity here on the farm: monitoring the ripening of warm-weather crops, planning ahead for later season crops, beginning to harvest and cure storage crops, and taking time to help out a vulnerable fellow creature along the way. 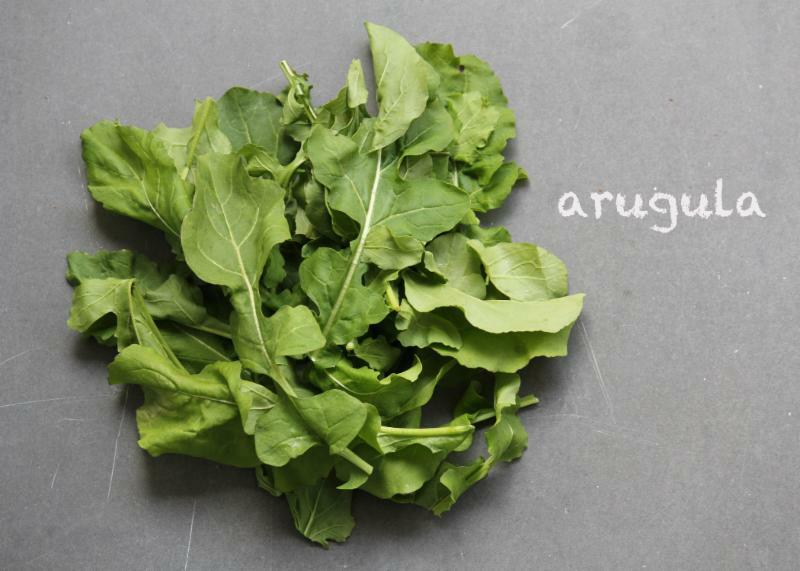 Peppery-tasting arugula can be eaten raw or cooked. A couple weeks ago, some of our crew went to observe our remote field planted in winter squash and our grain hemp. 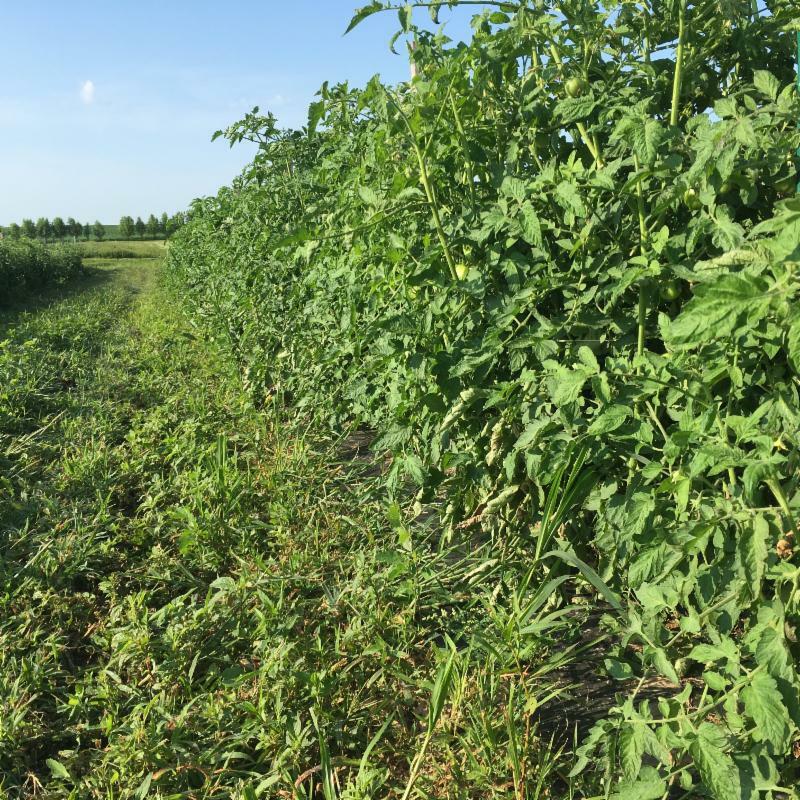 It’s a 16-acre field with 6 acres of squash and hemp and the remaining left for hay. The hay field is speckled with milkweed, so I took a walk through the tall grass to look for evidence of any monarch caterpillars feeding on the milkweed. Much to my surprise, just about every milkweed plant had caterpillars voraciously eating the leaves. 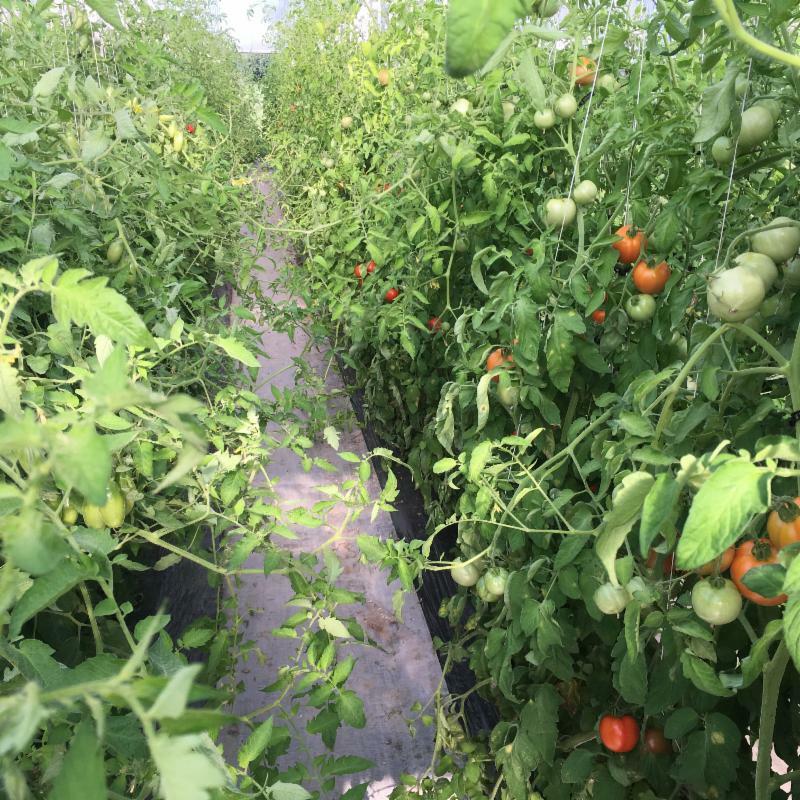 The tomatoes we’re distributing right now are coming from our high tunnel and we expect to be harvesting our first field tomatoes this week. The nights continue to be cooler for this time of year than usual, hovering in the high 50’s, which dampens the ripening of summer fruits that require 60-degree night temperatures to bring them to a quick ripening stage. Along with tomatoes, peppers are slugging along turning color, as well as the sweet Italians all of you are certainly eagerly anticipating. 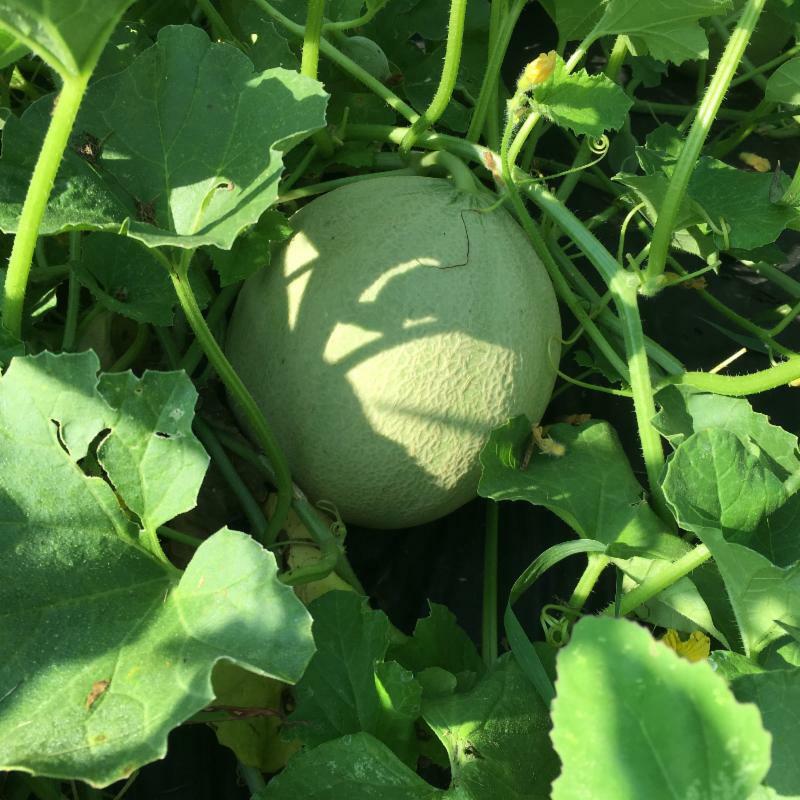 Melons are forming and look as though they might be harvestable in a week or two. We didn’t grow potatoes this year and are working with LotFotl Community Farm for our early potatoes and Igl Farm for our late and winter potatoes. Hoping that we can get some potatoes in the boxes soon. We are entering into our second succession of cucumbers and squashes so have taken a hiatus from distributing zucchini and summer squash for a while. 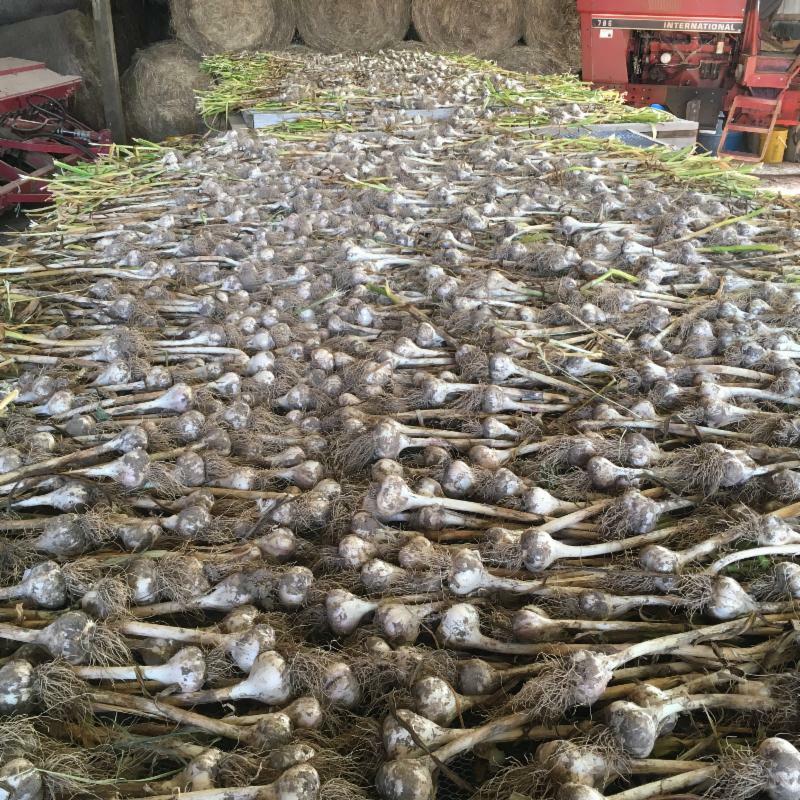 The garlic harvest is underway, and with an abbreviated crew this year, we harvest a few beds at a time. 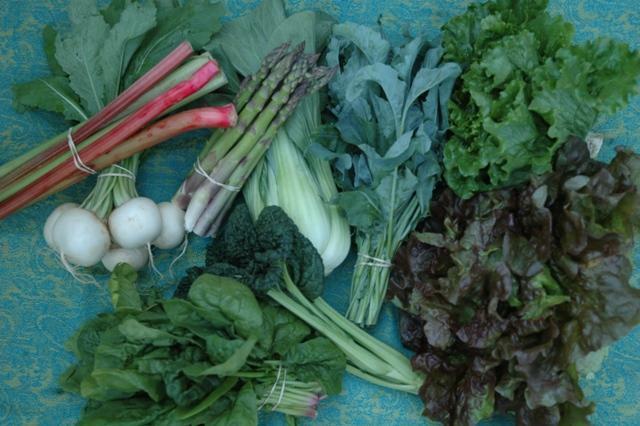 The weather is dry and perfect for curing, so you should see garlic in the box next week. The onions will come on the tail of the garlic harvest and it looks to be a bountiful harvest. If all goes well, the weather will stay dry for curing. 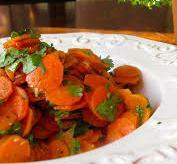 Cook carrots in boiling water for for 2 -3 mins until tender but crisp (or microwave if desired). Drain and reserve 1/2 c. of liquid. Combine garlic and oil in a nonstick pan and cook over a moderate heat until fragrant. Add carrots and cook, stirring until well combined and hot, adding a little of the reserved cooking liquid if necessary. Remove from the heat and stir in the basil. In medium bowl, mix together all ingredients except lettuce until well coated with mayo. Chill & serve rolled in lettuce leaves or on sandwich bun/wrap. Roll out dough on a lightly floured surface to about the size of the baking sheet. Transfer to baking sheet. Bake until puffed and lightly crisped on the bottom, 8 to 10 minutes. Meanwhile, heat oil in a large nonstick skillet over medium heat. Add onion, prosciutto and crushed red pepper and cook, stirring, until onion begins to brown, about 3 minutes. 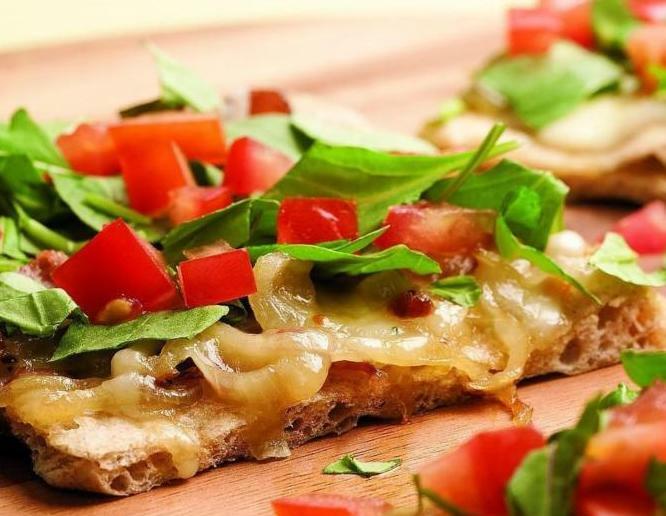 Spread onion mixture evenly over crust and top with cheese. Bake until crispy and golden and cheese is melted, 8 to 10 minutes. Remove from oven and top with arugula and tomato. Combine tomatoes, pepper, cucumber, onion and garlic in a blender or, if using a hand blender, in a deep bowl. (If necessary, work in batches.) Blend at high speed until very smooth, at least 2 minutes, pausing occasionally to scrape down sides with a rubber spatula. With the motor running, add vinegar and 2 t. salt. Slowly drizzle in olive oil. 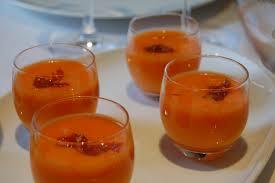 The mixture will turn bright orange or dark pink and become smooth and emulsified, like a salad dressing. If it still seems watery, drizzle in more olive oil until texture is creamy. Strain the mixture through a strainer or a food mill, pushing all the liquid through with a spatula or the back of a ladle. Discard the solids. 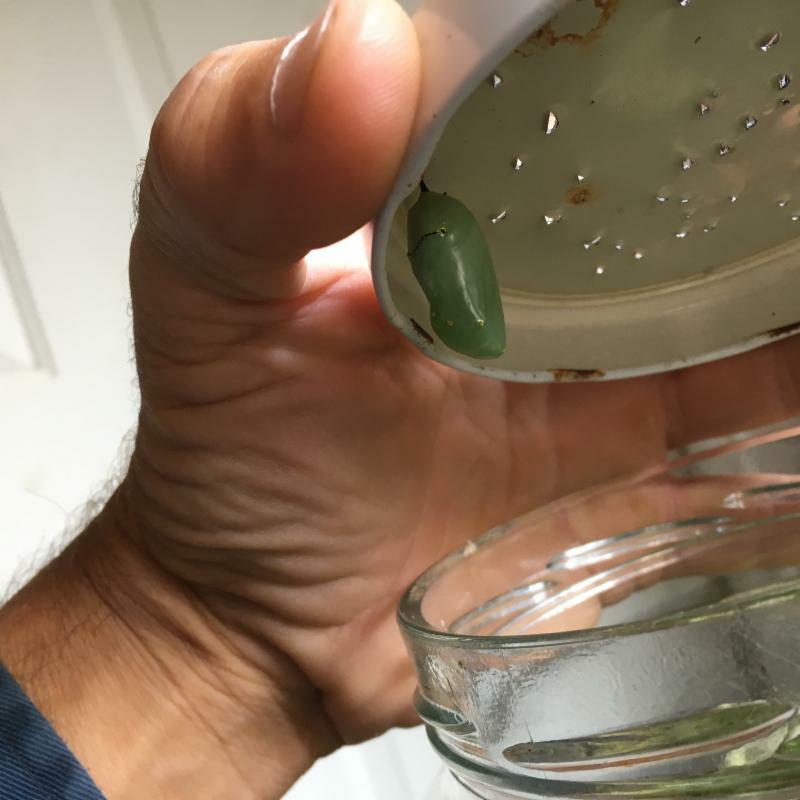 Transfer to a large pitcher (preferably glass) and chill until very cold, at least 6 hours or overnight. Before serving, adjust seasonings with salt and vinegar. If soup is very thick, stir in a few tablespoons ice water. Serve in glasses, over ice if desired. A few drops of olive oil on top are a nice touch.